Diamond Jim has completed his 6th year of competition with a jet funny car. Then we have son Danny who has been driving at the age of 17. 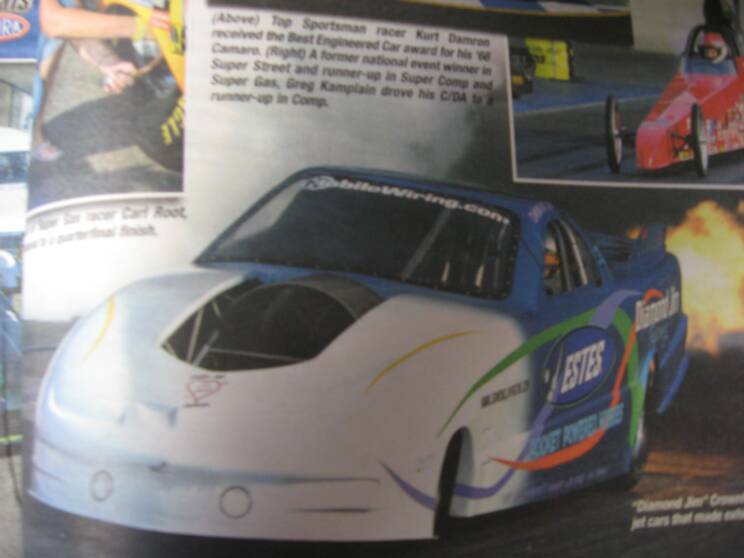 He started out with dads alcohol funny car and the year of 2006 got a jet funny car like Diamond Jim's. Diamond Jim has now started the 3rd generation of Crownhart's to race. Grandson Maverick "The Jet" started his 1st year of racing his Jr. Dragster at the age of 9. He has traveled all summer with us this year and did real good. We travel all over the U.S.. Our motto is "Have Jet Will Travel". Check out our schedule to see where you can come see us at a track close to you. To book Diamond Jim Racing call Diamond Jim or W.W. at 815-441-0406. L.C. Davis has been around wrestling his entire life and was beginning to make a career out of it when he decided to quit his full-time job as head assistant coach at Pratt Community College to try his hand at professional fighting. It took a suggestion from world famous MMA trainer Pat Miletich to convince Davis to end his sporadic visits to the MFS gym in Bettendorf, Iowa and make it his permanent home. Soon he was a full-fledged team member, racking up nine straight victories to begin his pro career. Under Miletich’s watchful eye, Davis was able to develop his strong wrestling background into a well-rounded fight game, making him stand out among the elite that fight under the MFS flag. 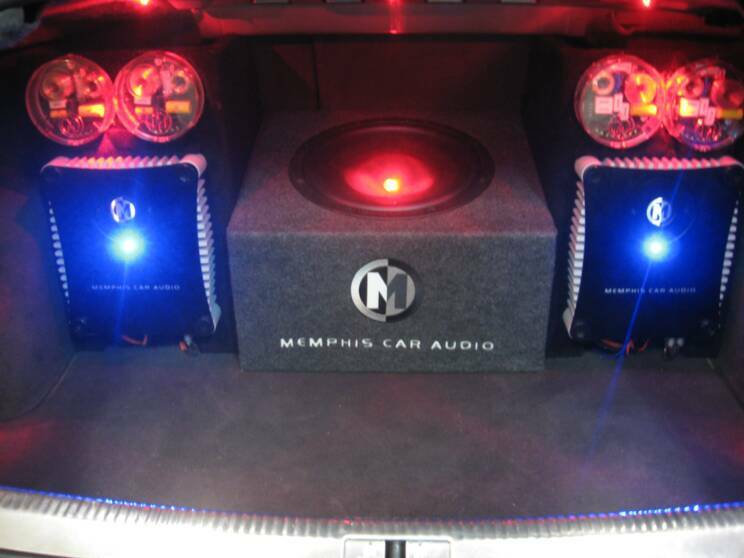 Sponsored by Mobile Wiring & Memphis Car Audio. If you live in the Quad Cities, you know Dwyer & Michaels from 97X in the morning. We recently hooked up the morning monster truck with some exterior weatherproof audio which gave it a major sound boost! These are two of the coolest guys you'll ever meet. 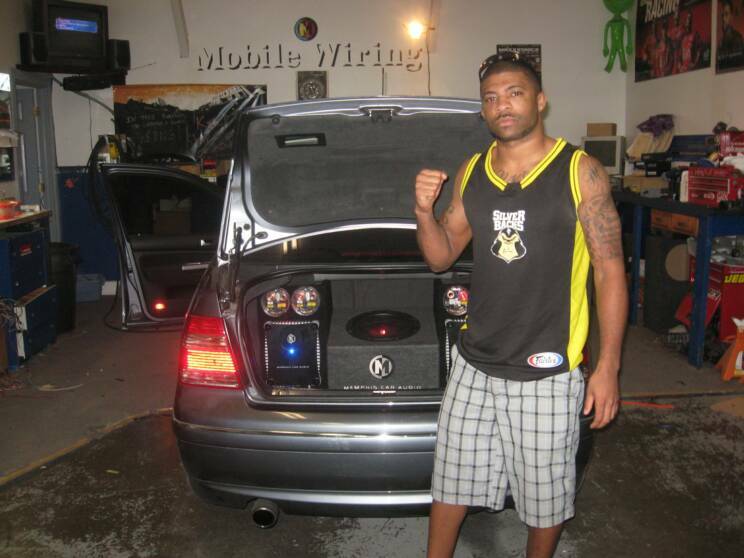 We would like to thank them for choosing Mobile Wiring as their preferred mobile audio provider. ​The groundbreaking Formula DRIFT Scion tC set a new competition standard upon its debut in 2009, and has since had many emulators. Campaigned by driver Tanner Foust for two seasons, the vehicle achieved multiple top qualifiers, wins and an overall 2nd in the 2010 championship. Papadakis Racing worked with Robbie Miller Race Cars to convert the front-wheel drive Scion tC to rear-wheel drive and install a 700-horsepower TRD NASCAR engine — while still retaining the factory unibody construction. The Scion tC proved the team’s ability to undertake an unconventional approach to a top-level winning vehicle, while still working within the series’ strict chassis rules.